Godzilla 1962(conte crayon and chalk) SOLD! Martian 'scape (10x20) Oils SOLD! A couple of new pieces that were sold before the even got out of the barn. The bottom piece was a small and VERY last minute commission for someone's retirement party. It was a small miracle getting it done and dry on time! Well, I did and that's what's important!!!! 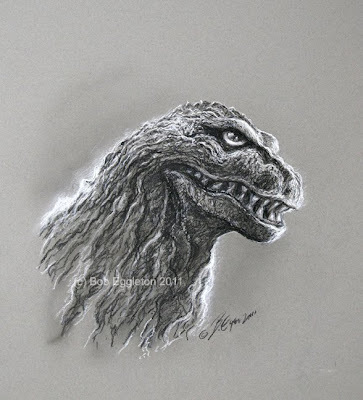 Famous Monsters: I Have Arrived! 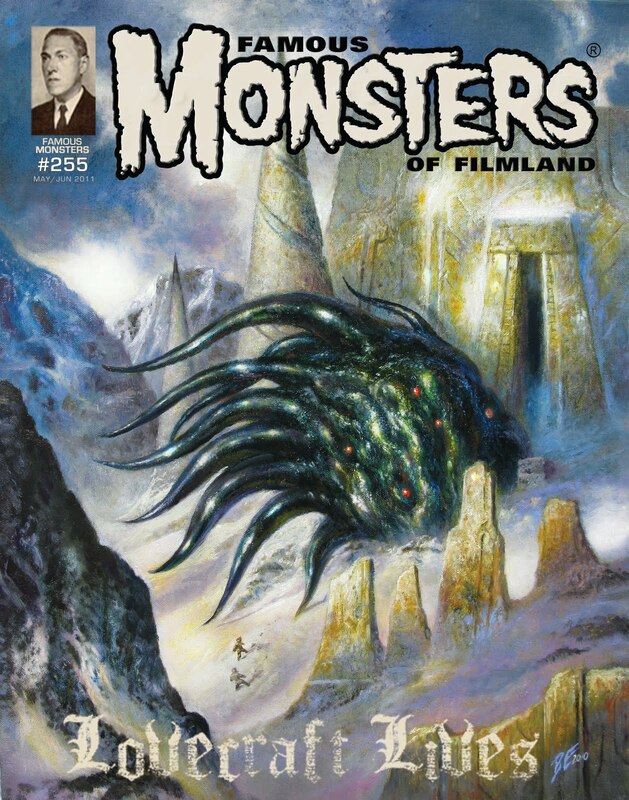 Back 41 years ago, I found Famous Monsters of Filmland. I'd already found MONSTER WORLD but that's another story. I loved this magazine, and dreamed one day I would have a cover of my art on an issue. Well, thanks to the new publisher of FM, Phil Kim, that happened!! Out of the blue he called me to work on his new incarnation of Forry Ackerman's somewhat lost magazine that had a sordid and spotty publishing history since the late 70's. This is a monumental thing for me. It's like the first time I won a Hugo or close. 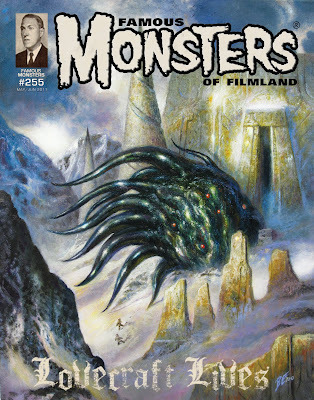 The circle has come full around for me, and the cries of "What are those 'monster books' ever going to get you?"